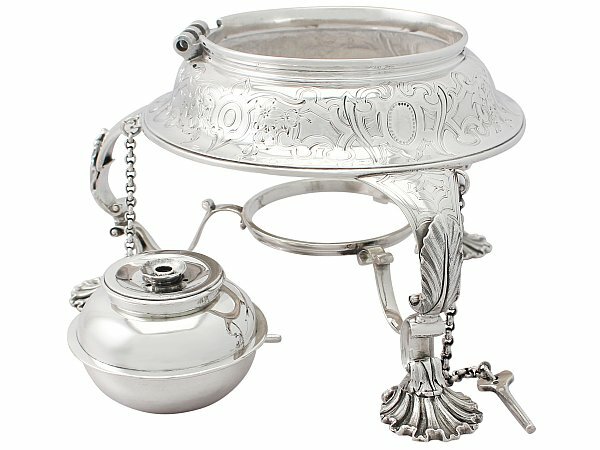 This antique Victorian sterling silver spirit kettle has a large baluster shaped form. 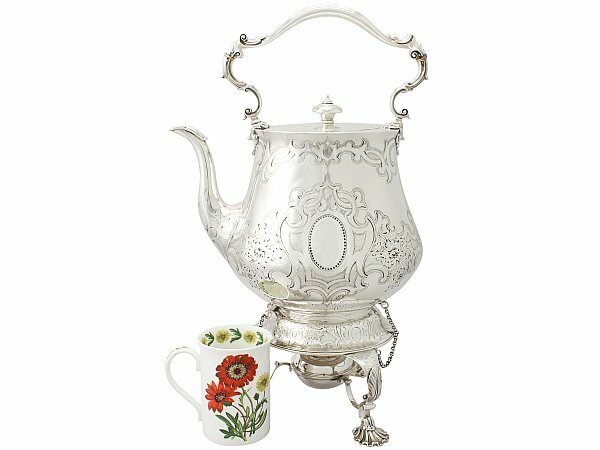 The surface of the kettle is embellished to the upper and lower portions with impressive bright cut engraved interlacing scrolling decoration accented with floral sprays. 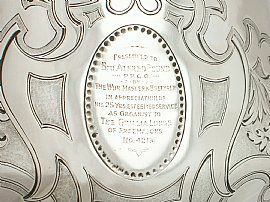 ‘Presented to Bro Alfred Pound P.P.G.O by The Wor. 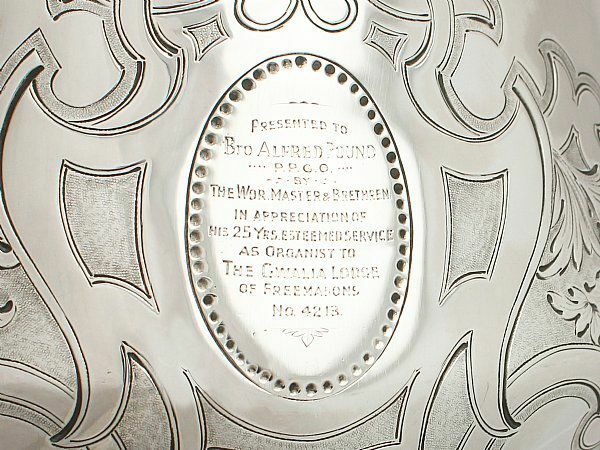 Master & Brethren in appreciation of his 25 Yrs esteemed service as Organist to The Gwalia Lodge of Freemasons, No. 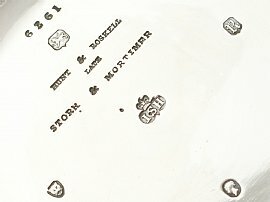 4213’. 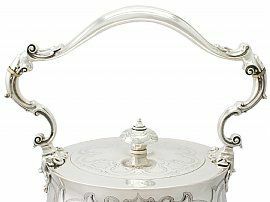 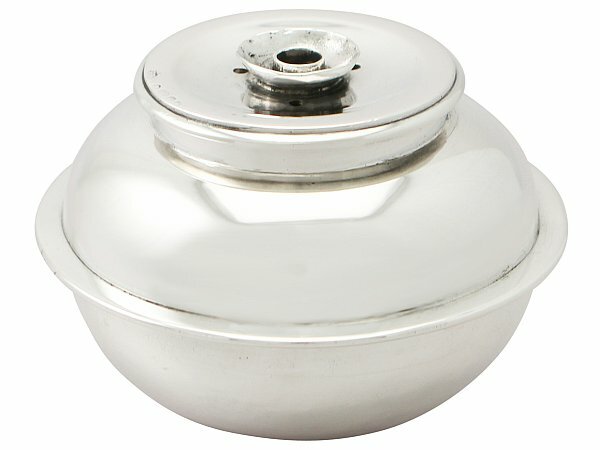 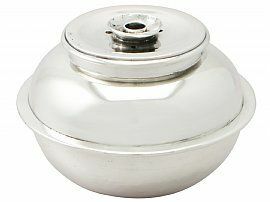 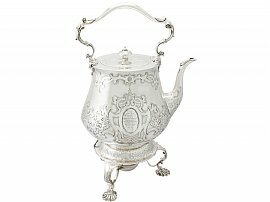 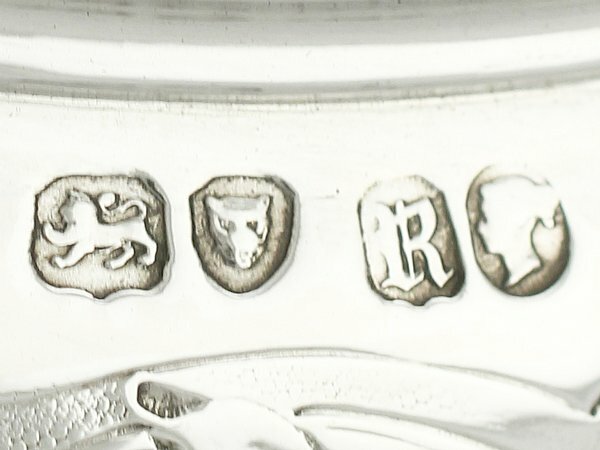 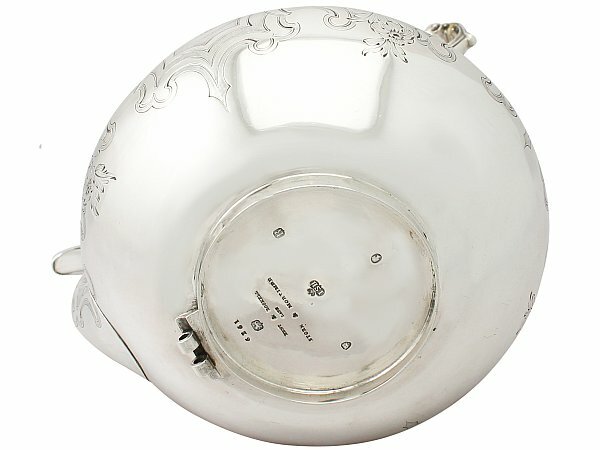 This antique silver kettle is fitted with a flush hinged hallmarked cover encircled with further scrolling motifs; the flush hinge indicates the fine quality of this piece. 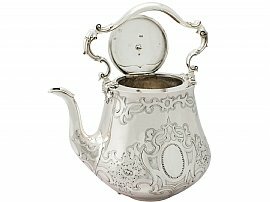 The cover is surmounted with the original sterling silver finial encompassed with bright cut engraved scalloped decoration. 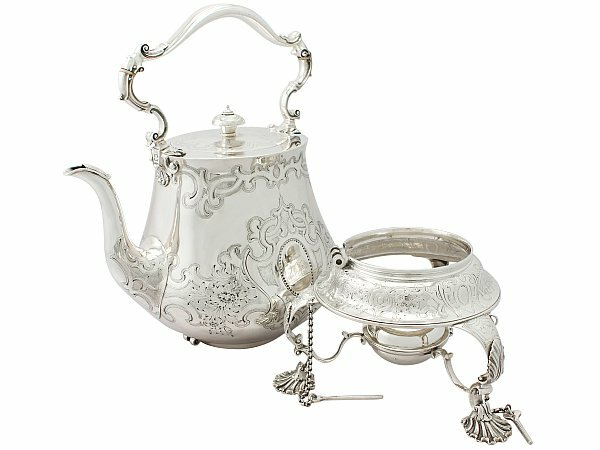 This fine and large example of antique teaware is fitted with an impressive hallmarked sterling silver scrolling handle ornamented with impressive chased decorated leaf and scroll decorated terminals. 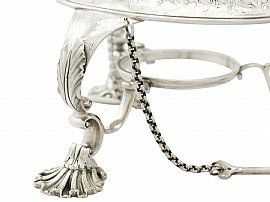 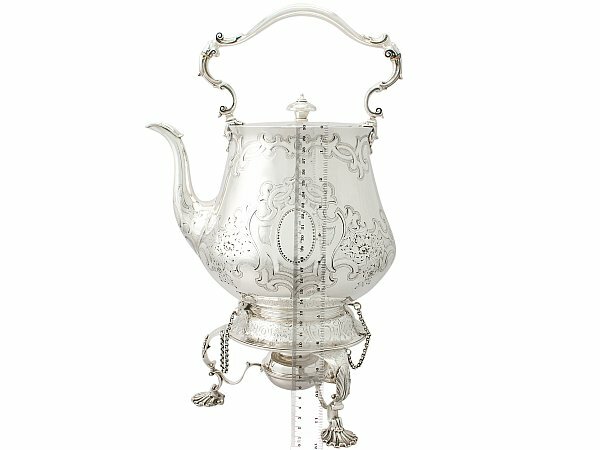 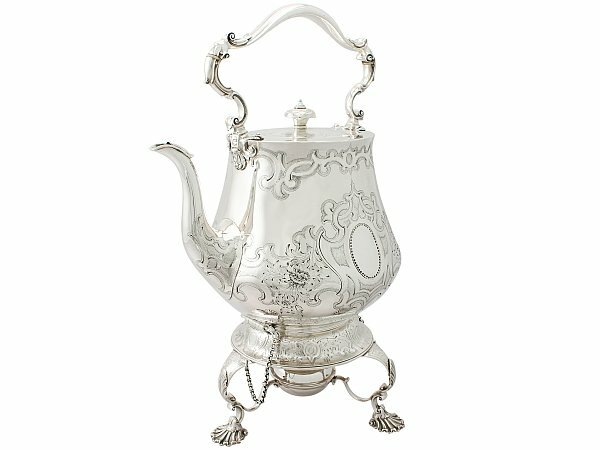 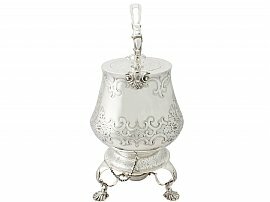 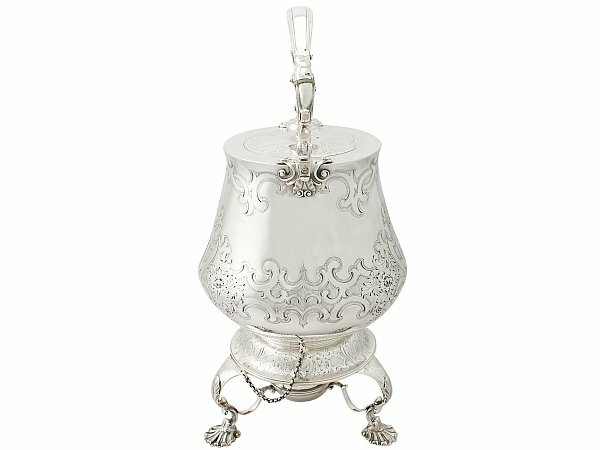 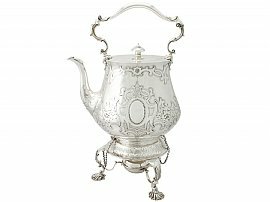 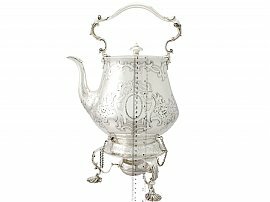 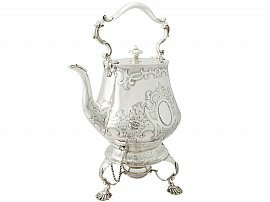 The kettle detaches from the original hallmarked sterling silver stand, supported by three impressive opposing scrolling legs with chased leaf decorated feet. 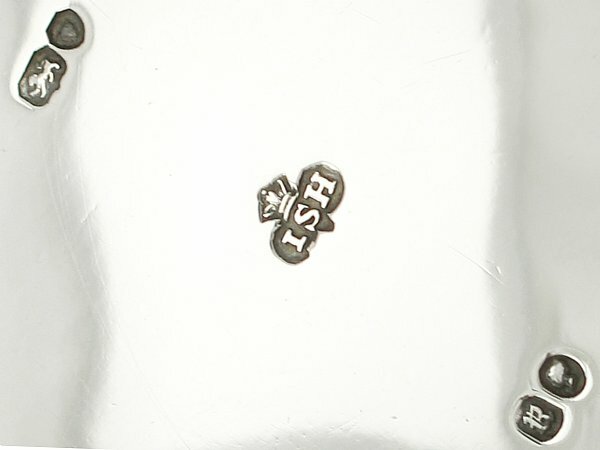 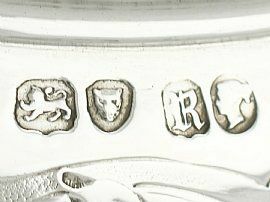 The upper portion of the stand is embellished with impressive bright cut engraved scrolling and floral decoration, reflecting the same style to that of the body. This exceptional spirit kettle was crafted by the notable and collectable silversmith John Samuel Hunt and bears the retailer’s mark ‘Hunt & Roskell, Late Storr & Mortimer’ to the underside of the kettle. 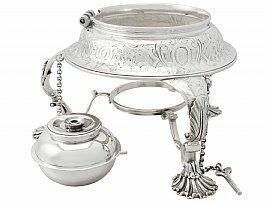 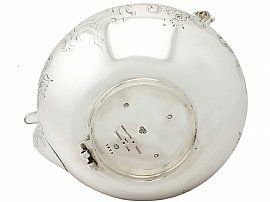 This antique Victorian silver spirit kettle is a very good gauge of silver, excellent quality and in excellent condition. 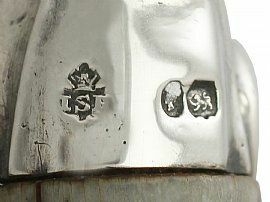 Height to top of handle 44.6cm/17.6"